This month we're pleased to present the picks of Jennifer LoveGrove (Beautiful Children with Pet Foxes), Marjorie Celona (Y), Veronika Martenova Charles (The Land Beyond the Wall), Leanne Dunic (To Love the Coming End), and Danika Stone (Internet Famous). This is a poetry collection about a love affair. About the end of a love affair. About a relationship between a psychiatrist and a patient. And the patient is the poet. I’ve been a fan of RM Vaughan’s poetry since I first read it in the 90s, and this 2008 book has all of his characteristic ferocity, wit, and beautiful, devastating imagery. The collection depicts a dangerous, fraught, taboo relationship—one between a psychiatrist and patient. One where the patient, this time, is the poet. To say it is autobiographical would be an understatement; it is fiercely vulnerable, it is the poetry of redemption and vengeance and testimony, and it is devastating and beautiful. The poems seem to follow a loose chronology of the brief relationship, starting with “our first magic, our first sniff / of the glands, presenting of horns.” Many poems are simply called “Session” and these capture fragments of attraction, of tension, of ambivalence with inventive language and imagery and a poetic deftness that knows just how to convey this heightened intensity, and when to pull back. By the end of the book, we’re deep into found poems—evidence or archives—consisting of redacted letters from RM Vaughan, from a new therapist, and from the College of Physicians and Surgeons of Ontario. While Troubled may at times make you confront your own voyeurism, the poetry is fearless and gorgeous and unsettling and well, troubling (in all the best ways). 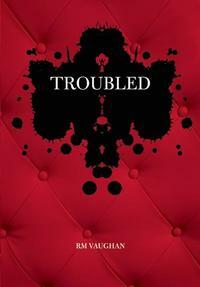 If you’re anything like me and like your poetry original and confrontational, read Troubled by RM Vaughan. Jennifer LoveGrove is the author of the Giller Prize–longlisted novel Watch How We Walk, as well as two poetry collections: I Should Never Have Fired the Sentinel and The Dagger Between Her Teeth. In 2010, LoveGrove was nominated for the K.M. Hunter Artist Award for Literature and in 2015, her poetry was shortlisted for the Lit POP Awards. Her writing has appeared in numerous publications across North America. Her latest book is Beautiful Children with Pet Foxes, out now from BookThug. She divides her time between downtown Toronto and rural Ontario. I discovered Alice Munro when I was very young. I still remember how relieved I felt—after reading Dance of the Happy Shades—to find I wasn’t the only one who thought things were gloomy with regards to being a girl. Of Munro’s collections, the one I return to the most is Too Much Happiness. Published in 2009, it’s a departure from her earlier work: braver, bolder, weirder. Big, almost sensational plots. Ugly, ugly violence. Innovative structural moves that seem to defy short-story logic (whatever that is). Who can forget the character of Lloyd in “Dimensions,” the opening story—a man who murders his children. A man who, like Clare in “Postcard” from Dance of the Happy Shades, preys on a woman by first getting close to her mother. Another favorite: “Deep-Holes,” in which we meet the damaged Kent first as a child and then as an adult, and thus attempt to forge connections between past and present in order to understand him. As John Gardner would say, “Though we read the work again and again and again, we can never seem to get to the bottom of it." Marjorie Celona is the author of the novel Y. Her recommendation will be featured as part of a massive, annotated recommended reading list of Canadian writing that we will publish this summer. 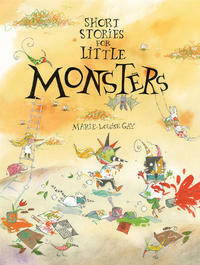 Author/illustrator Marie-Louise Gay's Short Stories for Little Monsters is a new picture book for young readers aged five to eight that celebrates children’s imagination. The collection consists of nineteen separate entries, each two to four pages long, presented in a comic book format. These are not stories told in a traditional way—with a beginning, middle, and end—but rather humorous snapshots from the perspective of a child. The stories focus on topics children are interested in: being invisible, taming worms, sharks, and whether what adults say is always true. The illustrations are mostly in panels and the text—the characters’ commentaries and thoughts—are contained in speech bubbles. Onomatopoeic sounds abound. “You can’t see anything with your eyes closed,” the adult answers, while in the full-page illustration we can see the glorious world the child imagines. The book is unique in the sense that comics are presented in a picture-book format. Gay handles the comic panels in an inventive way: the panel sizes vary, mix with full illustration pages, and sometimes the frames’ edges are incorporated into the illustrations themselves. For example, in "Nobody Nose," the edge of the frame becomes a part of the illustration—a clothesline—on which the protagonist balances. I particularly liked the use of double vertical panels in "Zombie Mom," where we can simultaneously see the mom in the kitchen and her children’s antics in the bedroom above. Reading comics as a picture book may present a challenge for the adult accustomed to reading a story in a traditional manner. However, the book will provide a platform for the parent and child to explore the detail-rich illustrations, engage in discussion, and perhaps ponder some questions of their own. Veronika Martenova Charles is a PhD candidate in the Faculty of Education at York University in Toronto. She is the author and illustrator of many books for children and her new picture book is The Land Beyond the Wall. 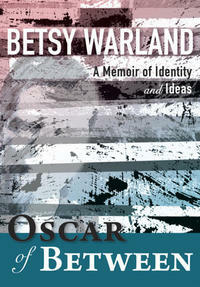 I heard Betsy Warland read from Oscar of Between before the book’s publication and followed the interactive online salon hosted prior to reading the print version of the book. I was immediately drawn to the explorative and honest nature of the writing. Warland’s book transgresses genre and format, a suitable endeavour given the theme of being "of between." In a reference to the work of poet Brenda Hillman, the narrator Oscar comments on "rupture everywhere." The earthquake motif appears in both Warland’s and Hillman’s work—two writers I admire—and establishes the links between writers and experiences. Each of the 36 parts of the book are named by the locations of occurrence, as spaces of transition and exploration. Similarly to Warland, I feel both my writing work and self exist in a place of between, particularly because of my biracial heritage. Reading Oscar… I felt I came to better understand myself as well as others. I became re-inspired by what language can do. I’d recommend this book for its multi-layered connectivity, the tenderness, the pushing and examination of boundaries, but most importantly, because of how it may motivate a reader to seek new ways to engage with literature and the world in which they live. Leanne Dunic is a multidisciplinary artist, musician, and writer. Her work has won several honours, including the 2015 Alice Munro Short Story Contest, and has appeared in magazines and anthologies in Canada and abroad. Based in Vancouver, British Columbia, Leanne is the Artistic Director of the Powell Street Festival Society and is the singer/guitarist of The Deep Cove. To Love the Coming End is her first book. Learn more at leannedunic.com. There are books you read and forget, and there are others that grab you by the collar and drag you under the surface of another world, leaving you changed when you resurface. 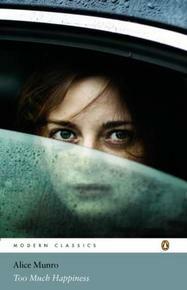 Kalyna, the debut novel by Alberta author Pam Clark, is the latter. In it, Clark unearths a little-known part of Canadian history—the internment of Ukrainian-Canadians by the Canadian government—and weaves a heartbreaking story from it. With lyricism and great understanding of Ukrainian culture, Clark brings her readers into the world of Katja and Wasyl, a young immigrant couple newly arrived in Canada. Clark’s voice is vibrant, and Kalyna recently received the Canadian Authors' Exporting Alberta Award. So if you’re looking for a new book (and life!) 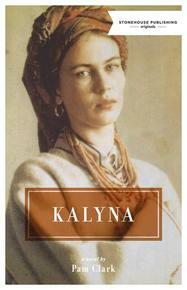 to disappear into, Pam Clark’s Kalyna is a great place to start. Danika Stone is an author, artist, and educator who discovered a passion for writing fiction while in the throes of her master's thesis. Danika now writes novels for both teens (All the Feels and Internet Famous) and adults (Edge of Wild). She lives with her husband, three sons, and a houseful of imaginary characters in a windy corner of Alberta, Canada.